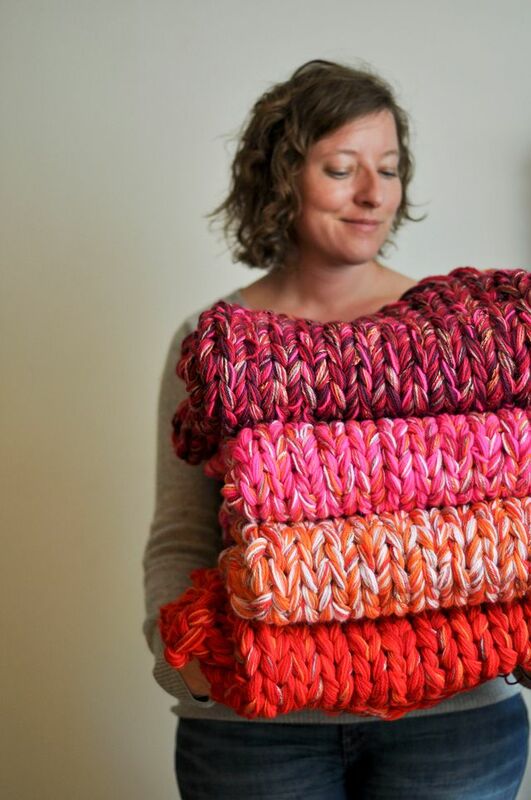 Knit // Extreme knitting. I like the sound of that. 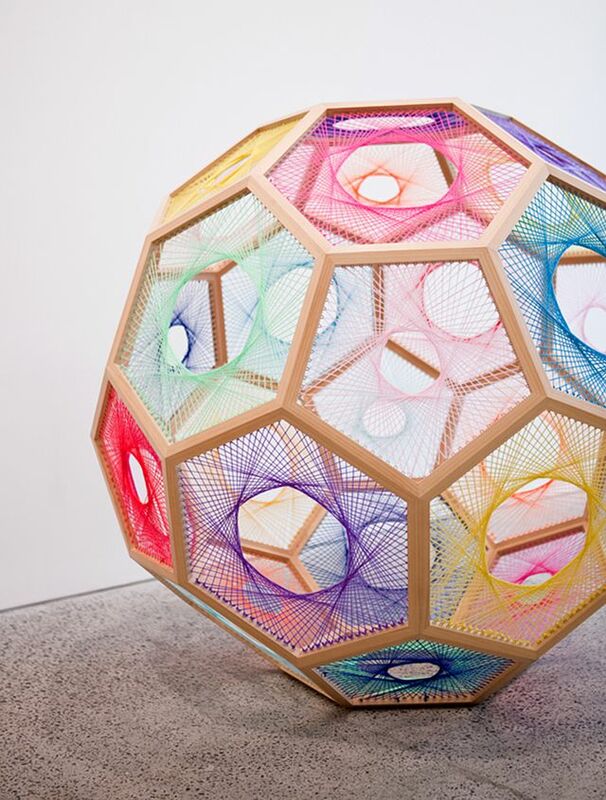 Fiber Art // This piece by Nick Savvas is stunning. It reminds me of my old spirograph drawings! Do you remember those? 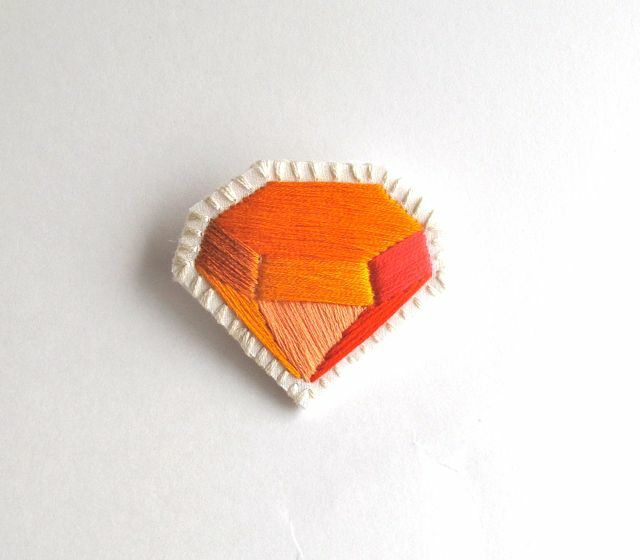 Etsy // I love this embroidered gem brooch from An Astrid Endeavor. It has such a great shape and depth! Style // If possible, I would wear this entire outfit, braided hairstyle included, every single day of my life. Casual and cozy is my kind of style! 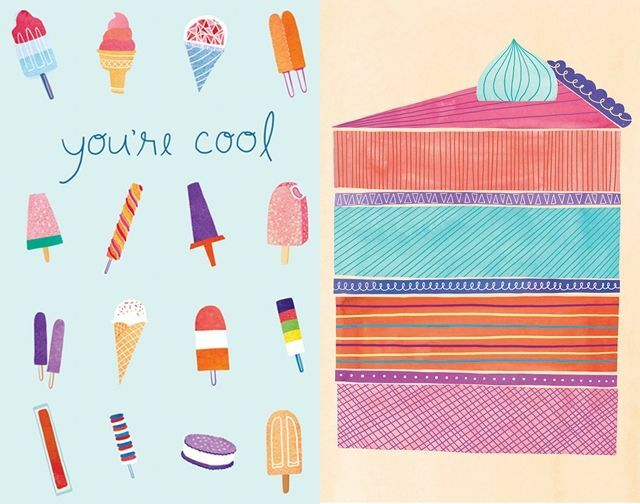 Art // I love Marisa Seguin's beautiful illusrations. Images found here and here. Food // Mmm! 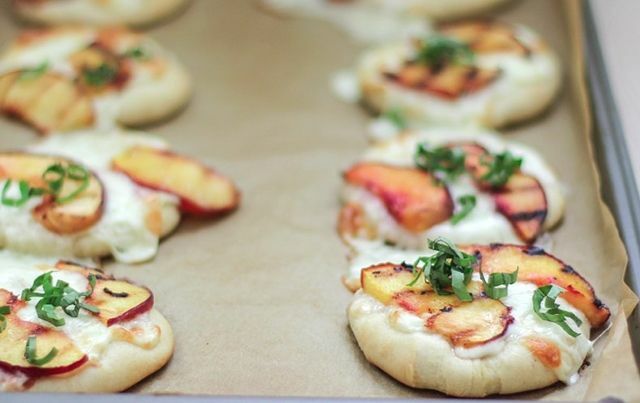 Mini peach and basil pizzas! I need to visit Ham Peach Orchards again before the summer is over so I can make this recipe. Yum. Peach is one of the best colors and flavors of summer. I can't get enough of this amazing peach salad recipe from Joy the Baker. It is one of my favorite lunches at the moment! Also, I am preparing for a vey exciting interview this week! Yikes. I will share more details about the interview soon!! I hope you had a great weekend too. What are you up to this week?